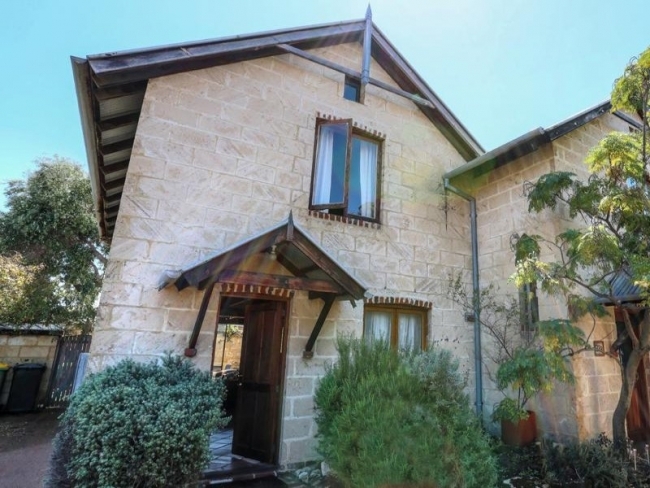 Here on House Nerd I frequently feature residential spaces –tours of other people’s houses and my own home as well. 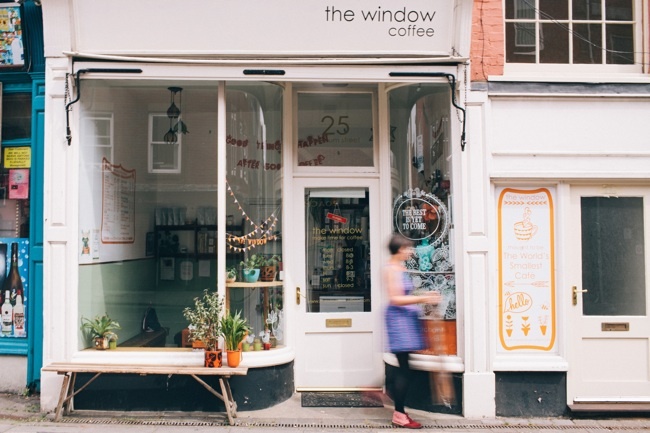 But if you follow me on Instagram, you’ll know it’s not just houses that have me admiring their interior design – I love commercial spaces too, from cafes and restaurants to offices and studios. In fact often commercial spaces inspire me even more than houses. 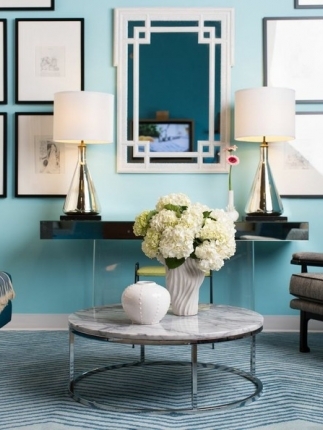 I think people tend to be bolder and take more risks when it comes to the interior design of commercial spaces, and it pays off. As a freelance writer, I currently work from home, in a home office space just off our dining room overlooking our garden. 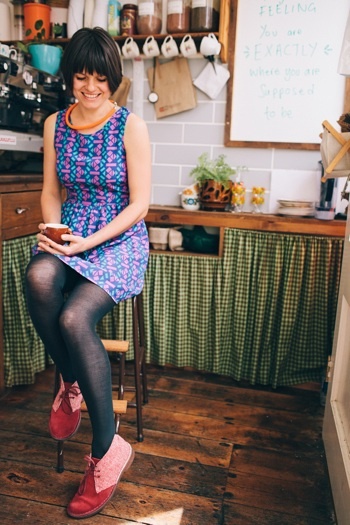 It’s nice, and I appreciate the slothiness of working from home – but one day I dream of taking House Nerd to a point where I have my own away-from-home studio, working with a close-knit team of other creatives in a colourful, rustic light-filled studio. I shall have to put on pants to go to this studio, but that will be worth it. Today I’m sharing my 10 favourite commercial spaces – the ones that I think are some of the most gorgeous, the coolest or that have something that makes me feel happy. 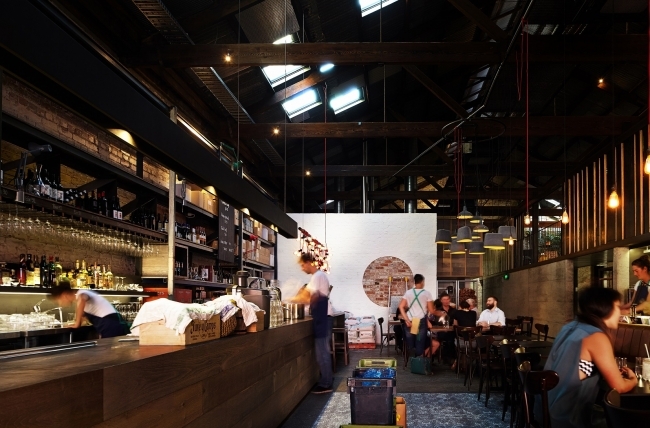 They’re all different – from a converted warehouse turned into a bakery (no prizes for guessing which one) to one of the coolest furniture shops in Perth. 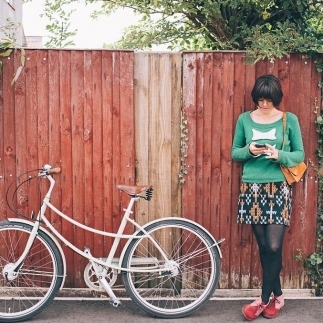 Tell me which non-residential space on this list is your fave! 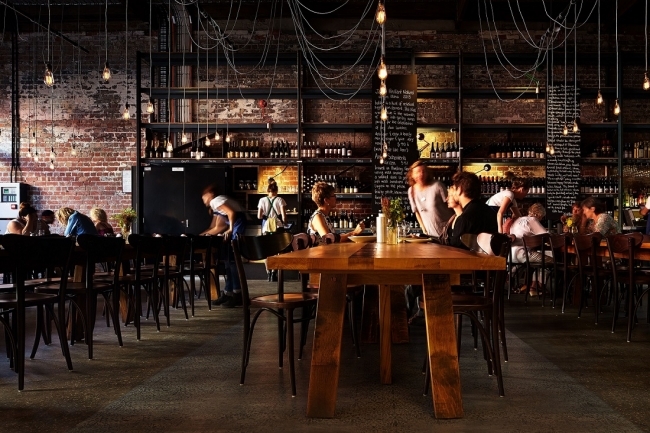 One of my favourite places to have work meetings or just meet up with friends is Bread in Common in Fremantle. 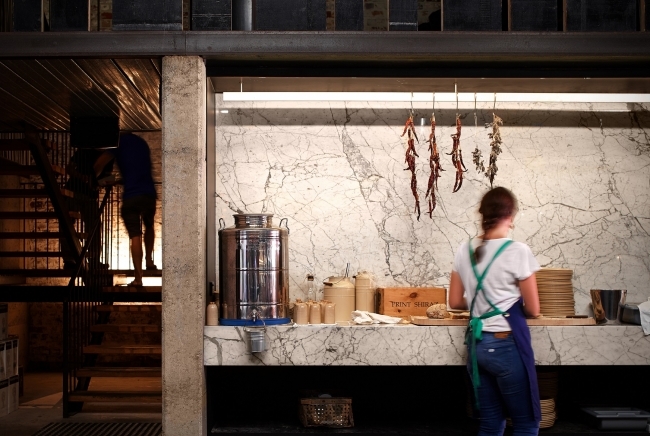 Tucked away in a converted pharmaceutical warehouse-turned-marine engineering workshop and now stripped back to its original brick in its latest life as a bakery and restaurant, Bread in Common has good food, nice waiters and it’s just an inspiring, beautiful space to meet -and many, many think so – its redesign by spaceagency meant Bread in Common cleaned up at the recent WA Architecture Awards. It's dimly lit and despite being such a cavernous space it feels cosy and communal (which was obviously the whole point behind the concept and the name). And there’s the bread. Lots and lots of huge loaves of freshly-baked bread, still warm out of the ovens at the back. You must go if you haven’t already. Bread in Common photos by Robert Frith of Acorn Photography. 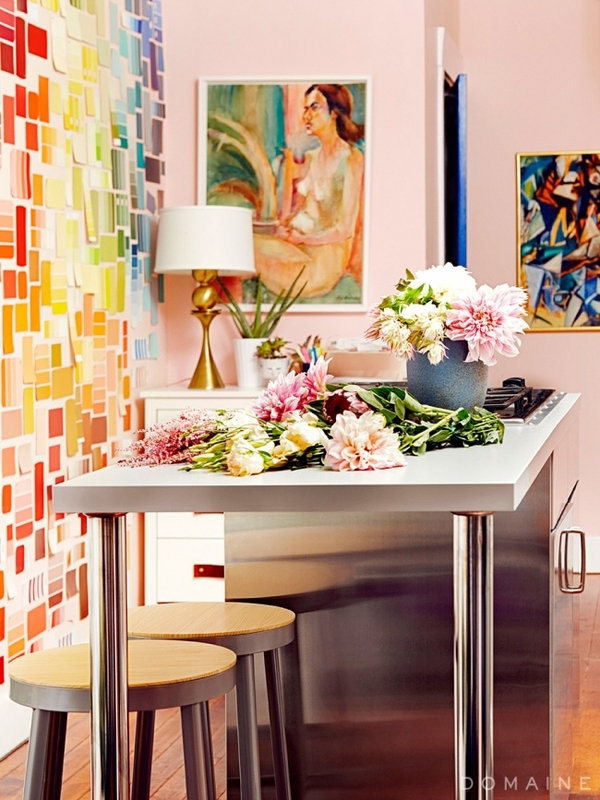 In the world of interior design and renovation blogs, Emily Henderson is my biggest girl crush. In true fan girl style, I devotedly adore everything she does. A HGTV host, interior designer, blogger and stylist, Emily not only has a blog that is really fun to read, but she has this signature fun, girly, eclectic style where she clashes together modern and mid-century pieces with Craigslist and market finds you’d normally never even look at and makes it all look a million bucks, and to me she can do no wrong. She recently moved into a new office, a street level retail space in Los Angeles’ Eagle Rock neighbourhood, and transformed it. “Most of the time it’s the home base for shoots, or we are shooting in there, so we needed a space that was inspiring and full of natural light,” says Emily. How could you not feel happy coming to work in a space like this? 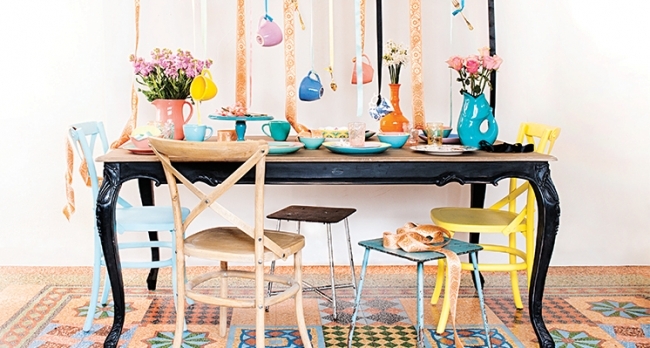 Inky cobalt and bold colourful patterns are complemented by splashes of coral and yellow. 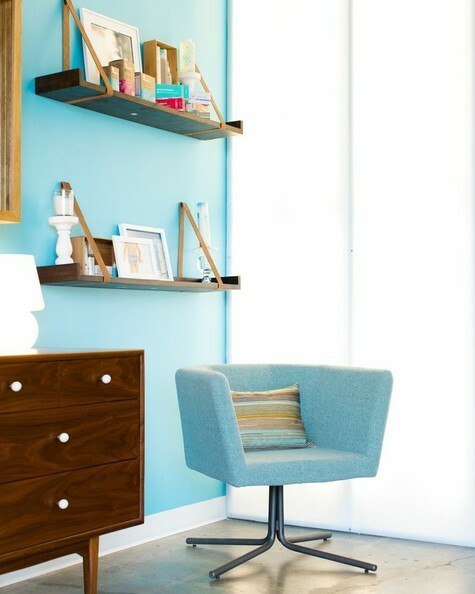 All furniture is on wheels, so desks and shelving can be moved out of the way for shoots at a moment’s notice. 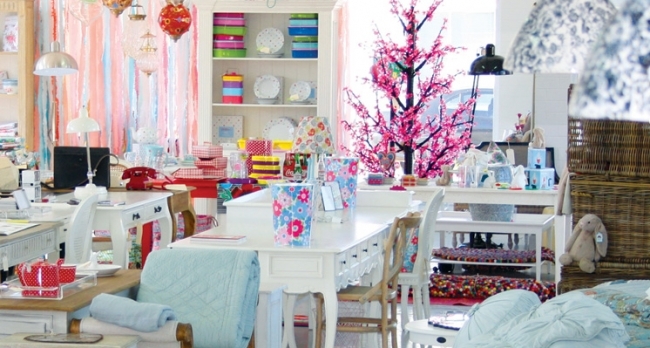 Shelves hold Emily’s styling props while big gator board panels, suspended from the ceiling and covered in bright wallpaper, add colour and pattern but can be moved out whenever a blank wall is needed. 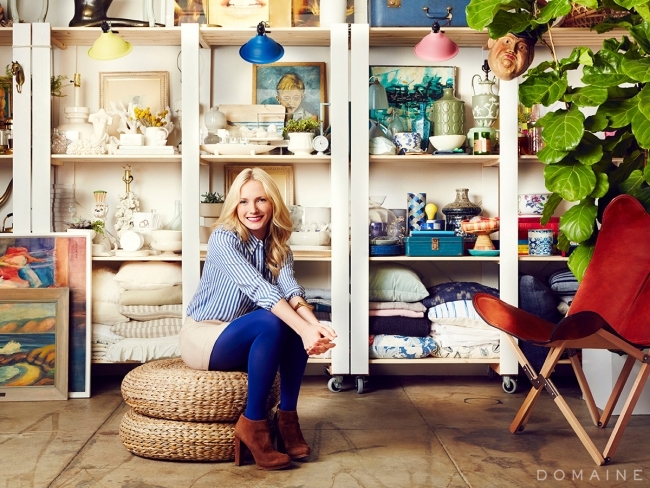 Emily Henderson in her studio, where shelves hold an assortment of styling props. I love the paint swatch wall in Emily's studio. Photos from Domain. Okay, sooo it’s not yet in existence… but I can’t resist adding this to the list. Whenever I see a cool commercial space with lots of potential, I mentally set it up in my mind as a House Nerd studio, somewhere for me to write and my friends to design and shoot in! Like this cute little corner shop in Mosman Park I passed one day while verge picking with my mum. 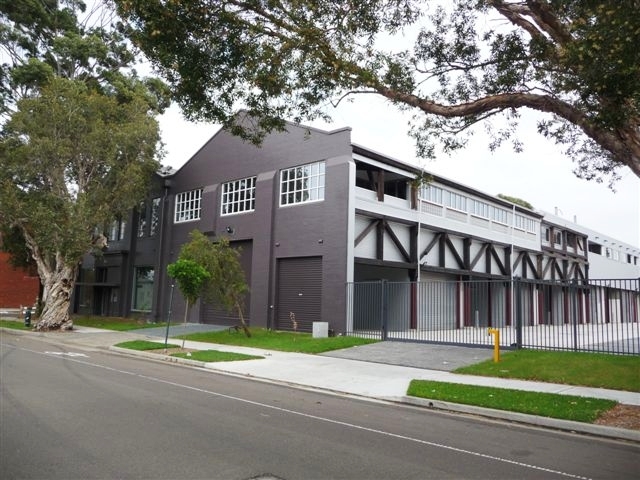 This cool industrial warehouse in Rosebery by TGC, who lease and sell commercial real estate through Sydney. 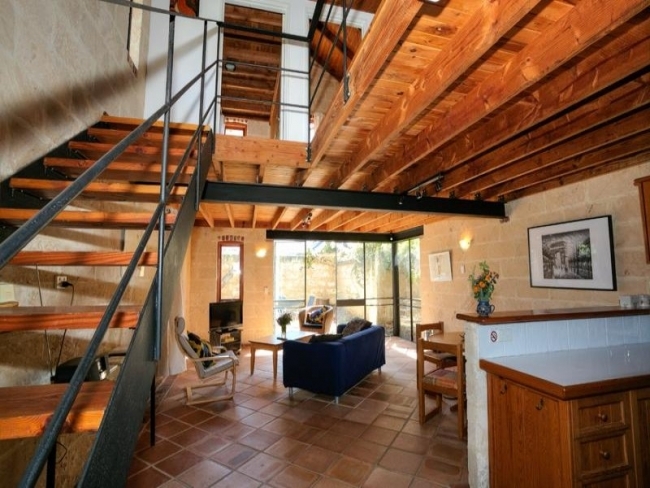 And this rustic studio house in Fremantle, designed by renowned architect Brian Klopper. Even my accountant dad’s office in Freo has tons of design potential, as I always tell him (he always tells me to bugger off). 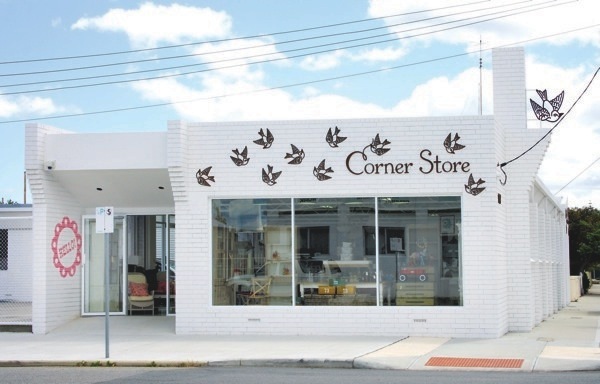 The cute Mosman Park corner store. 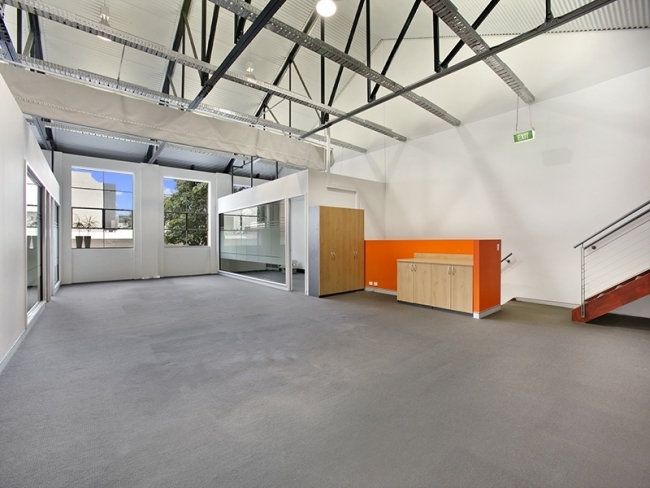 The TGC warehouse in Rosebery - could be a giant hub for all kinds of creatives and small business owners to meet! On a smaller scale... (starter office?) 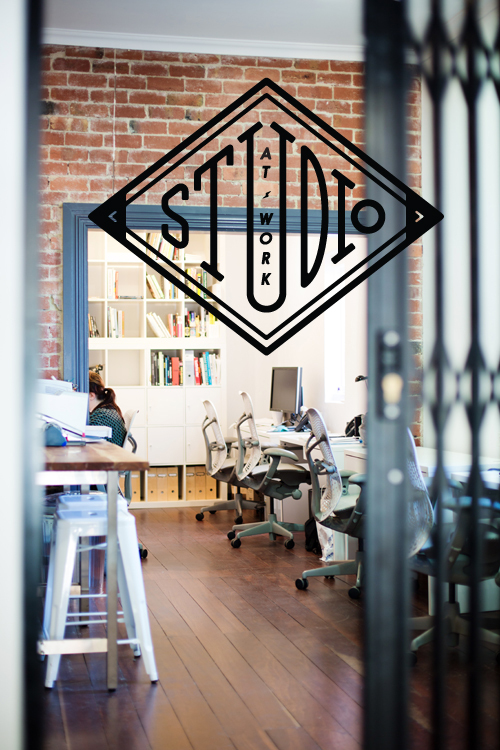 the Brian Klopper-designed Fremantle studio. I love the concept behind Studio Bomba, a shared studio of creative types who work across a variety of fields from interiors to illustration, and often team up together for special projects. And I love the space itself. 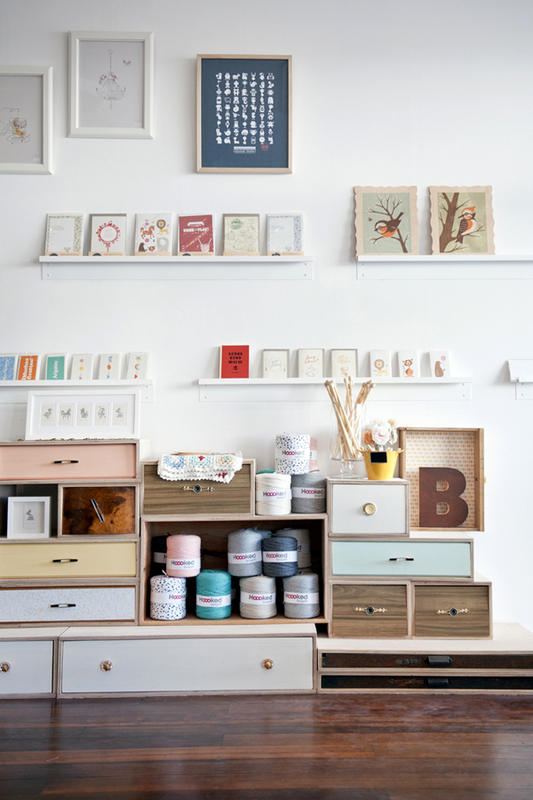 A stylish corner store on Oxford Street in Leederville, it encompasses a working design studio, a letterpress printroom, a design and homewares shop and a coffee bar. The interiors have a stunning black, white, concrete and brass scheme (with a gorgeous central breeze block table) that lets the homewares take centre stage. 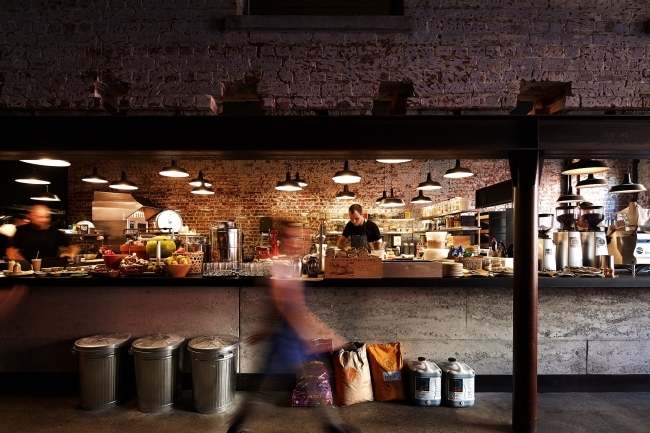 I always find it an energising place to catch up with a friend for a coffee. It must be a combo of the caffeine fix plus the inspiration you get from spotting all those people with their heads down, illustriously working away in the studio rooms. Years ago when I was 21, I worked as the deputy editor of a women’s health and fitness magazine called Oxygen and remember an afternoon spent begging the editor and art director that it was worth shelling out the money to put Jessica Alba on the front cover. Into the Blue was just about to come out and everyone (including myself) wanted Jessica Alba’s abs, and I was absolutely insistent we could hook more readers into buying Oxygen for the first time by publishing Jessica’s diet and workout regime. (In the end the CEO didn’t want to shell out for the picture *sob* although I did pre-read her exercise and diet regime, didn’t do it (that woman described an APPLE as her favourite snack) and naturally to this day have never had Jessica Alba abs. Jessica’s career has changed a lot since her famous ab days and these days she is the head of The Honest Company, a company that sells all kinds of ethical, non-toxic products for babies and mums, from baby powder to pre-natal vitamins to printed diapers. Ok so that part is really boring, but when I saw photos of her Santa Monica office headquarters a while back, I was anything but bored. If I worked in the corporate world, this is the kind of place I’d want to work in. 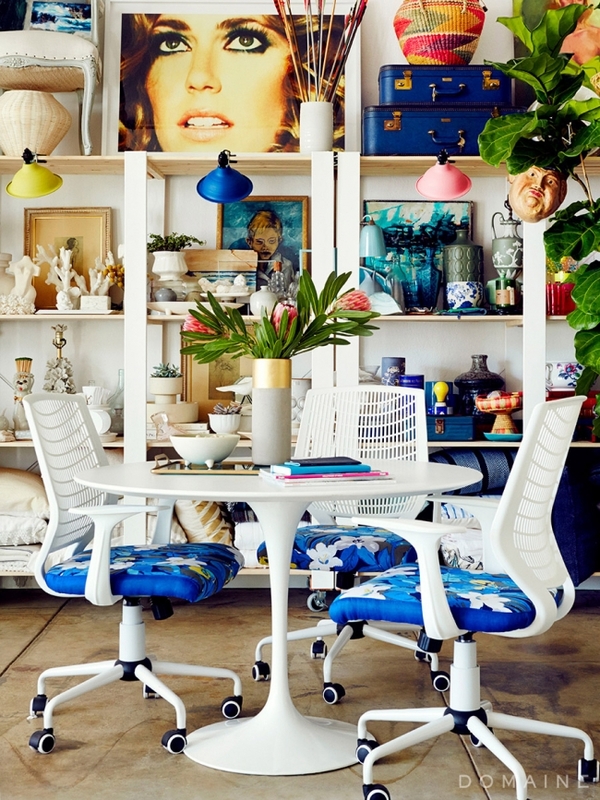 It’s gorgeous - waaaay more commercial work spaces should look like this. “I didn’t want a sterile office environment where everyone was isolated from each other,” said Jessica and asked CB2’s visual merchandising team to turn a former toy showroom into bright, colourful office headquarters. The renovation team knocked out interior walls, removed cubicles and blackout material from the windows to make the open floor plan feel even more spacious and light. "We sought a building with an open floor plan — or pit, as we like to call it — because it creates a richer culture," says Alba. 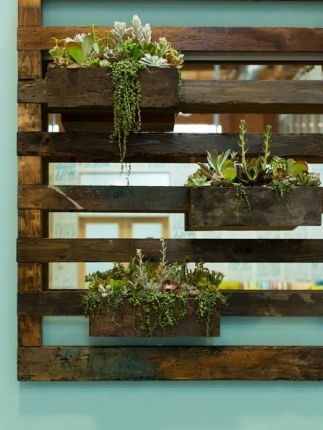 My favourite elements are the sustainable mango wood shelves, the vertical garden made of recycled shipping pallets, the bamboo-filled outdoor area and especially the colour scheme - the use of all that beautiful aqua, peacock and white teamed with recycled wood and metallic, which gives it a really fresh warm feel. 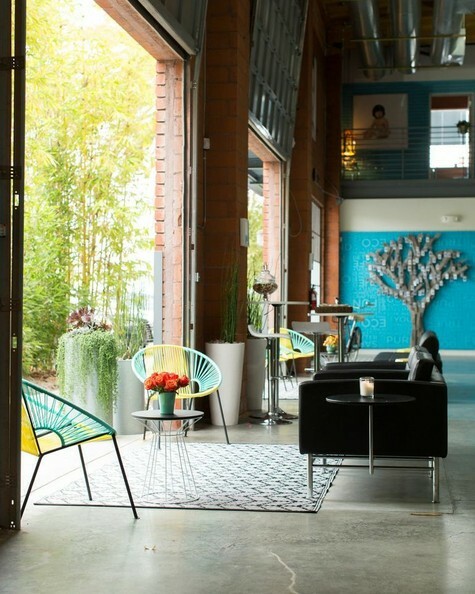 The Honest Company quarters - images from Lonny. You know the old MYER building in Fremantle that got closed down a while ago? If you haven’t checked it out lately, you must. 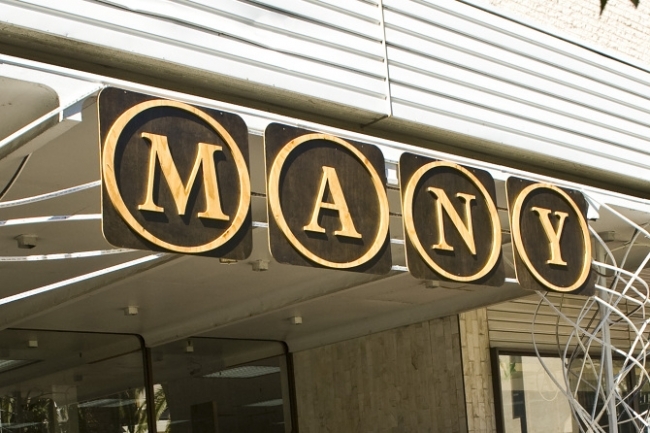 Especially with Christmas just around the corner because this is one awesome place to get presents. 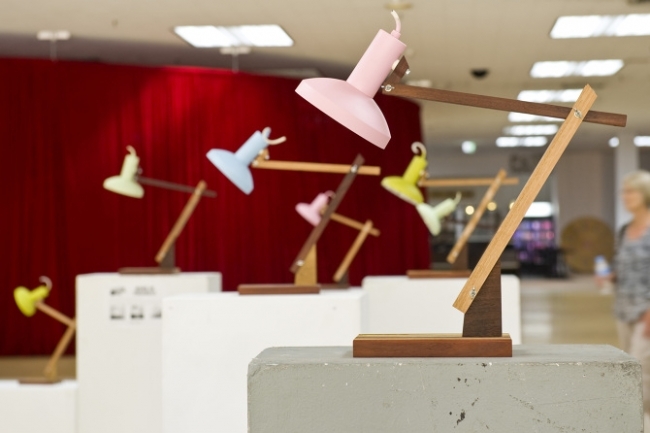 The old home of MYER has been turned into MANY 6160 - a hub for all kinds of makers, creators, artists and small business owners, with the idea of giving them a communal space to rent at lease prices that won’t break the bank. Sure, it’s not the prettiest or most polished-looking kind of place - it’s still pretty rough and ready – but that keeps the rent down for its tenants and it’s such a cool concept for creatives to help them make their livings. 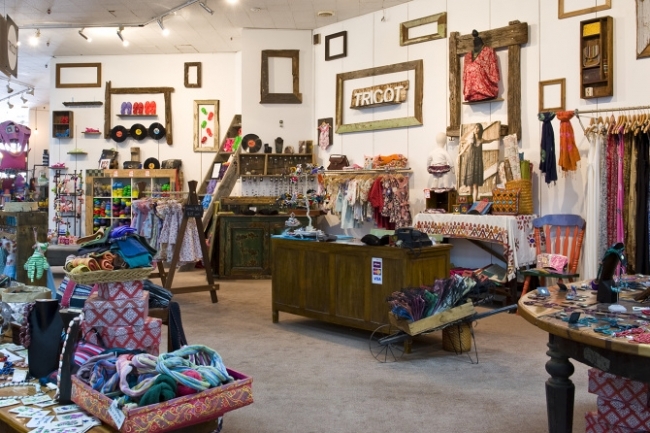 Small businesses there include Ruck Rover, Anya Brock, Peaches & Clean, Bluebird Vintage, Hunter Store, Ginger Morris, Irving Studio and others. 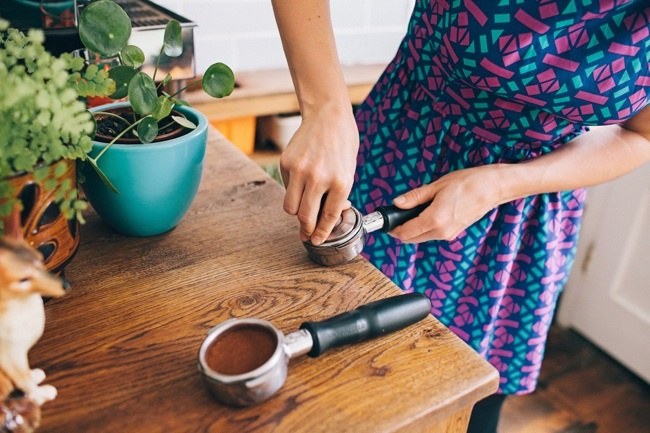 My faves – the Kate & Abel lifestyle emporium, where you can get a coffee from the lovely Kate and Abel and pick up an awesome gift at the same time (I love their enamelware range!) and the amazing woodcrafts of Andrew Christie of A Good Looking Man, who uses all recycled wood and has his studio on the production floor. On the shop floor, hand crafted lamps - like the one I have, a treasured wedding present! - from A Good Looking Man. 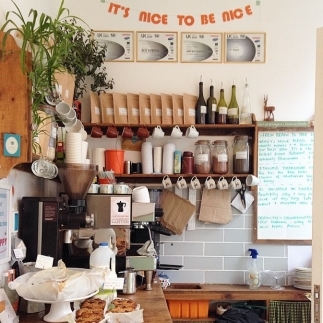 Cuteness is epitomised in this tiny coffee spot in Norwich, England. 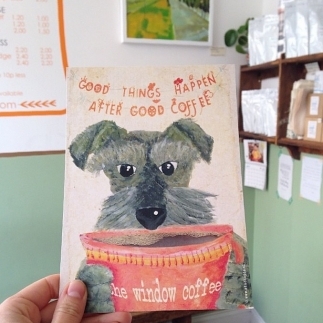 I stumbled across the life of The Window Coffee barista Hayley Gosling and her adorable mini schnauzer Daisy on Instagram one day, and her feed has been one of my favourites to follow ever since. Hayley and Daisy are like cute-as-a-button characters in a gorgeous children’s story book. 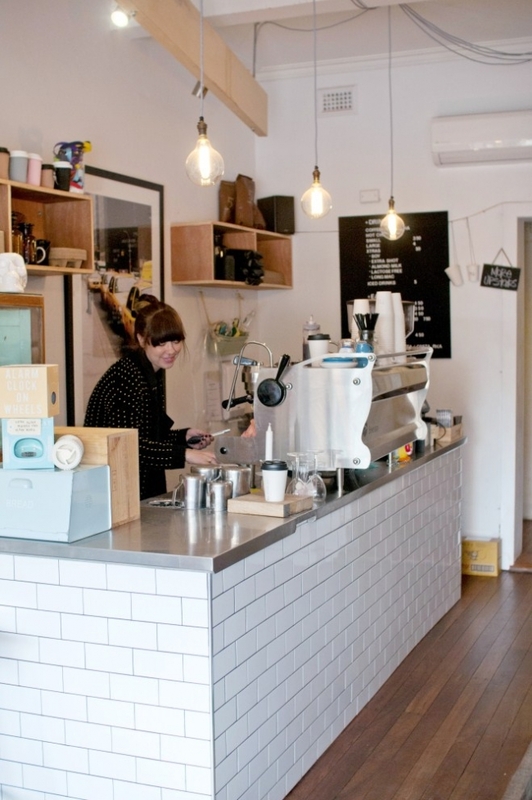 Hayley has turned this tiny commercial space into a supremely popular, homey café that has become famous. 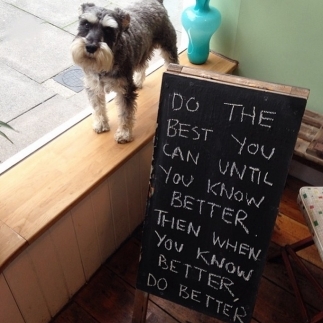 As small as her tiny coffee shop is, it’s ever-changing and always interesting, with Daisy behind the counter a constant. If I ever go to Norwich one day, I shall go to The Window Shop and stalk the hell out of them. 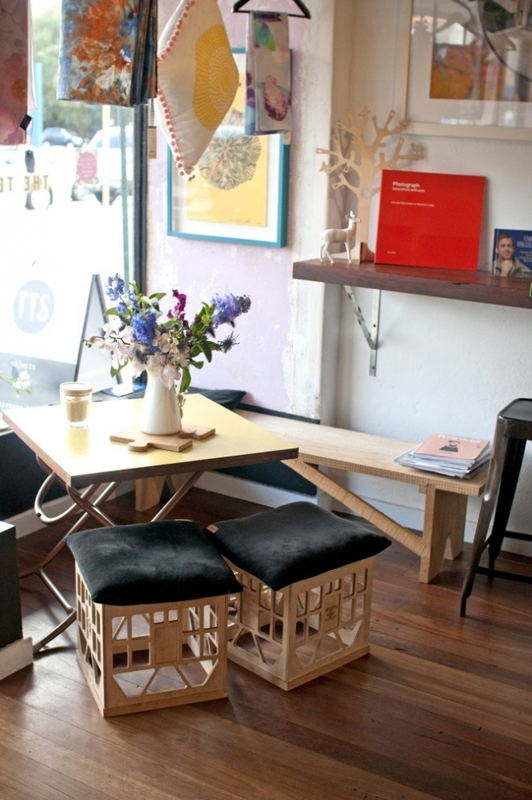 One of our favourite furniture shops and commercial spaces is Empire Highgate – a haven for furniture and homewares lovers. They have a few stores around but Empire Highgate remains my fave and if you haven’t visited, you simply must. 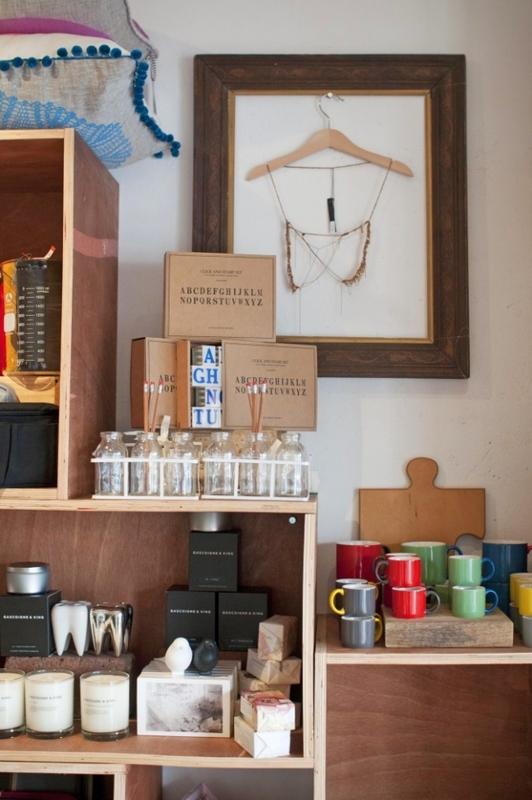 It’s a big old warehouse with beautiful industrial detailing and the most amazing homewares ranging from beautiful recycled teak furniture, retro pieces to unique handcrafted tables and Missoni towels. I can’t describe it but say everything here is cool. I could put many, many things from here on my letter to Santa. 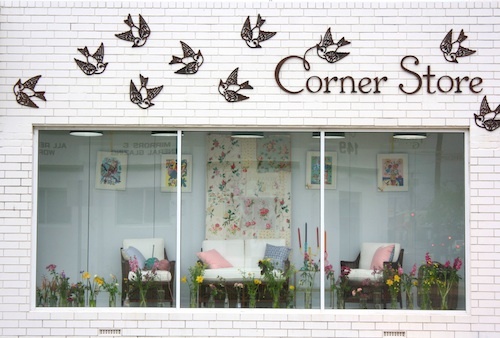 The Corner Store showrooms definitely make my list of favourite commercial spaces. 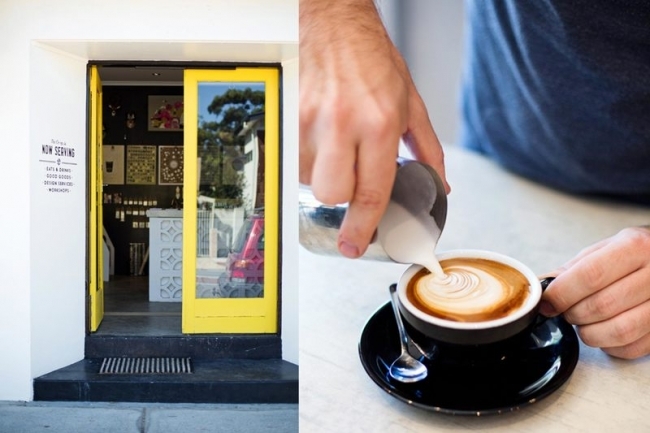 Both of them – the Fremantle warehouse and the Claremont one (they also have shops in Mount Lawley and Freo, too). 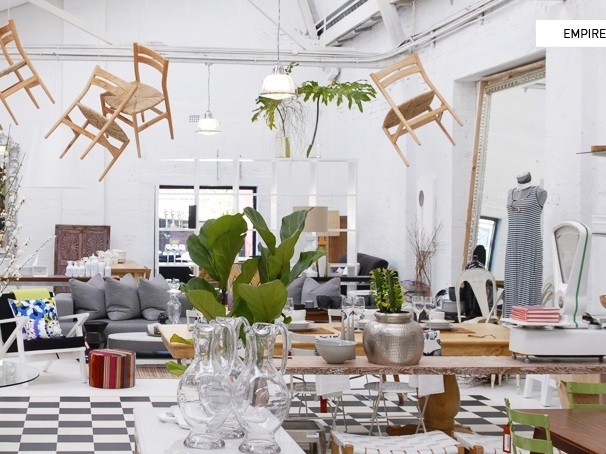 The showrooms are light-filled, white, airy warehouse spaces with a relaxing feel that makes you slow down and take your time as you dawdle over their homewares, which range from industrial to vintage to French provincial to shabby chic to retro-style kitsch. It is so difficult to walk in and not see something you instantly covet. 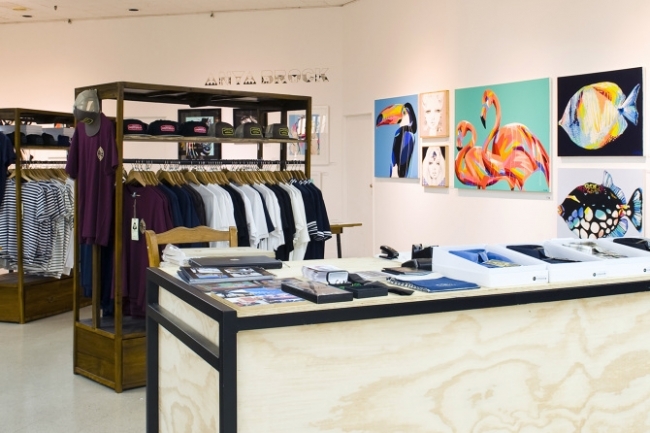 Great shops to hit before Christmas. Number ten on my list must be The Tenth State. Some of you may remember when Meghan and I covered this awesome Nedlands space on House Nerd a while back. 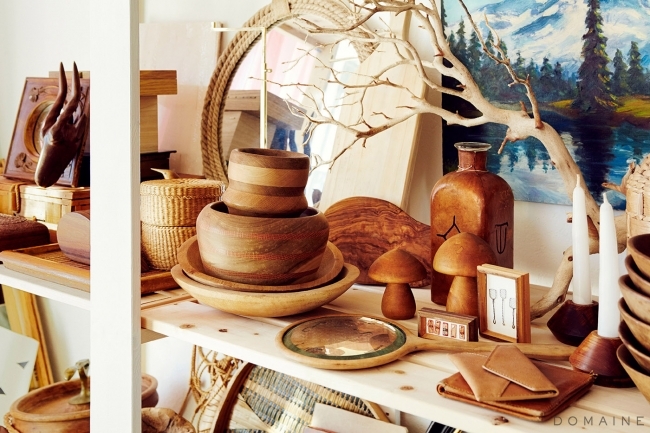 I absolutely love this space and can’t get there enough. It’s an old shopfront with a former house out the back that owners Jess Chisari and her sister Bel Baws have turned into a cosy, funky espresso bar with the nicest baristas, the best sweet treats (do try the brownie and/or grab a salted caramel La Paleta) and an awesome shop of homewares, clothing, children’s goods and everything in-between. Photos by Meghan Plowman of The Orchard. Oh great timing for me, Maya! I shall keep your list in my back pocket for my quick visit to W.A. in January. 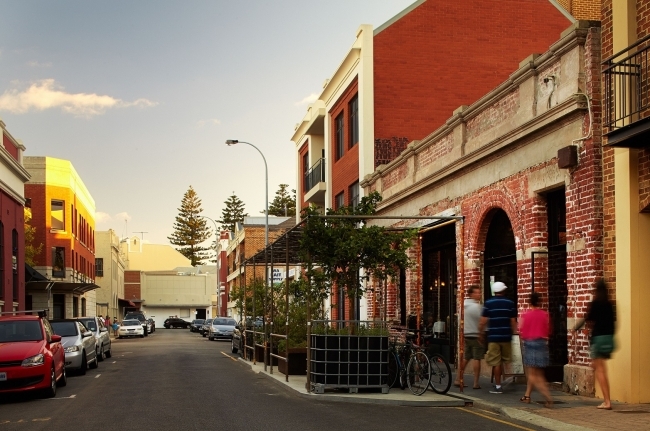 I can't wait to hit the streets of Freo. GREAT POST, Maya! I was chuckling over many of your comments and when I got to the part where you never had Jessica Alba ads and the stuff about mums and babies being bored, I literally guffawed out loud that a coworker in the next cube stuck out his head and said "I want to read what you are reading". 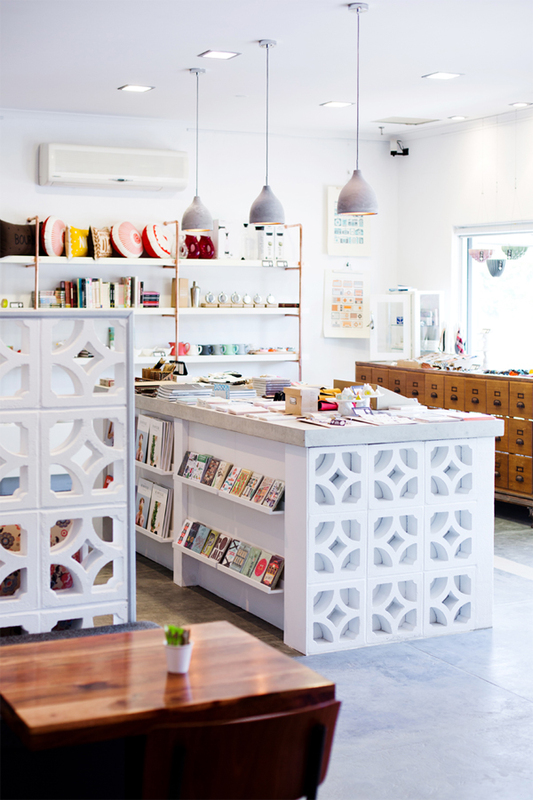 I love reading about these quirky little (or not so little stores - caffes being my favourites. I don't know why my town had only only boring coffee chains that are about as inspiring as an orthopedic clinic. When it comes to your own studio (and I know House Nerd WILL have its homestead one day) I see you in something smallish and eclectic, a la the Brian Klopper designed studio. And who would have known you are an Emily fan?!? Not that it surprise me, not in the least - I have been drooling over the pictures of her house the moment they bought it, long before they (she and Brian) even started making any changes. Keep writing! Love all of these spaces for all the same reasons. 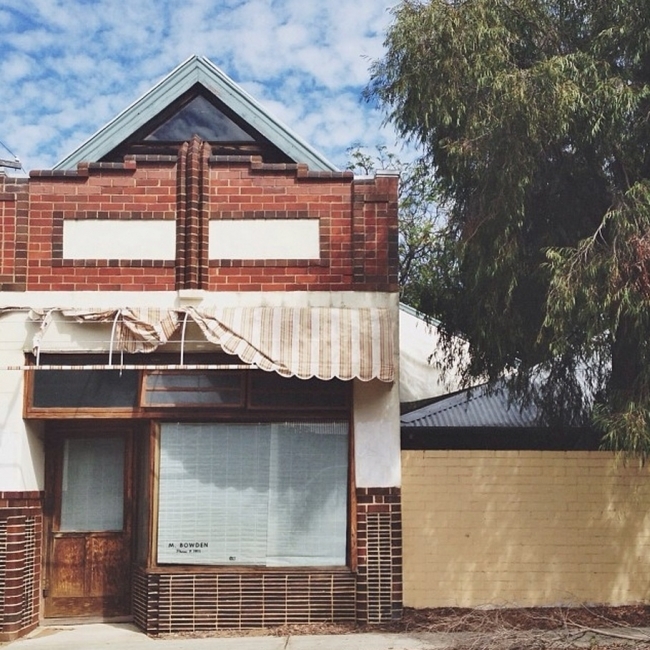 I have always admired the old corner store buildings dotted residentially and wondered if one day we could own one. Love this round up Maya. Amazing collection of spaces Maya! I feel the same as you. I often think we take more risks (that pay off) with commercial spaces over our homes. Not sure why. One day hubby and I will take our business from the home studio to a commercial space and I cannot wait.